COLUMBUS — Ohio State (18-13, 8-12) trailed No. 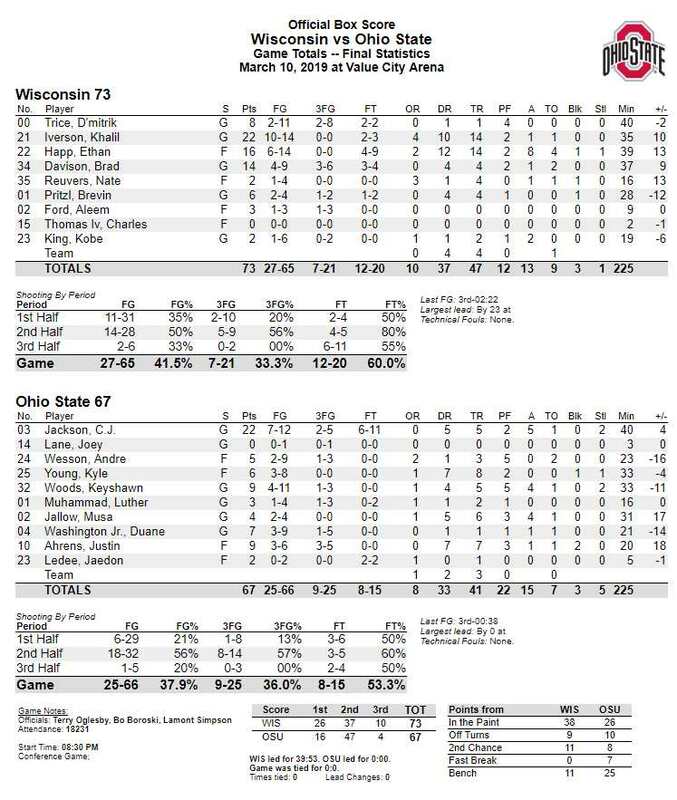 21 Wisconsin 58-36 with under seven minutes to play, but somehow managed a 27-5 run to send the game in overtime, where the Badgers (22-9, 14-6) went on to outscore the Buckeyes 10-4 in the 5-minute extra period and win it 73-67. On Senior Day, OSU senior point guard CJ Jackson led the team with 22 points. He was the only Buckeye in double figures. As fans ran for the exits at the under-8 media timeout, Ohio State did their own running, making this a game that featured two failed three-point attempts at the end of regulation that would have implausibly won the game for the Buckeyes. 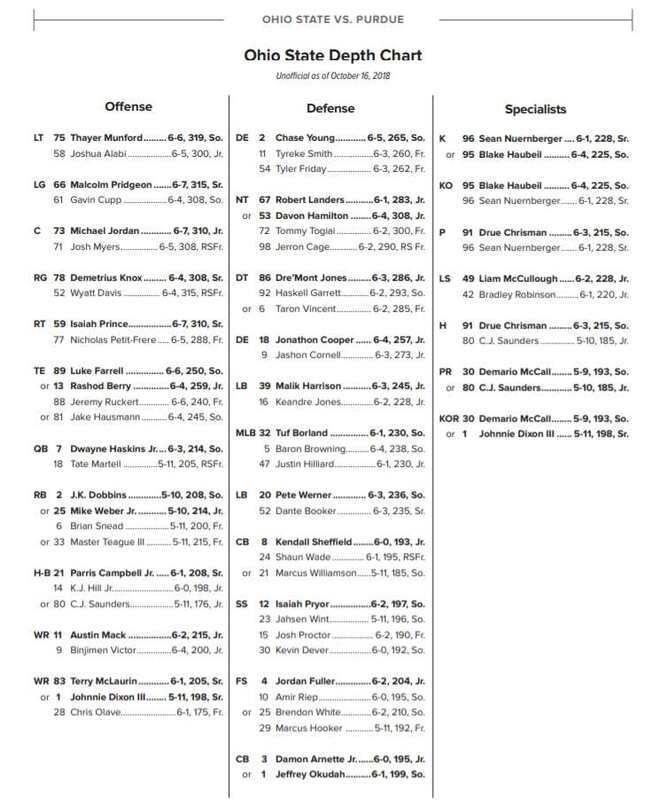 In the end, the comeback likely spent every last reserve OSU had as they missed several opportunities in overtime and allowed the Badgers to walk out of Columbus with the win. The Buckeyes missed their first 11 shots, which is the second game in a row they have accomplished that feat. Despite the slow start, the game was tied 8-8 with nine minutes remaining in the first half. Wisconsin eventually found a semblance of scoring, allowing them to lead 26-16 at the half. The Badgers’ largest lead of the game was 23 points at 44-21 with 15:45 to play in the game. At that point, it was clear that this game was over. The Buckeyes kept fighting, however. Along with three-pointers by freshmen Justin Ahrens and Luther Muhammad, the lead was cut to 15 points, which allowed hope to live. A 9-2 run by the Badgers to make it 58-36 with 7:14 remaining seemingly ended that hope. In the span of 48 seconds, CJ Jackson and Keyshawn Woods hit threes and Jackson added in a layup to go on an 8-0 and make it 58-44 to get the Value City Arena crowd back into it. A little over a minute later, Ahrens dropped in another three to make it 58-47. Badger low-post force Ethan Happ and guard Khalil Iverson stopped the bleeding with a quick four points, but the Buckeyes kept coming. A three-pointer with 2:51 to play by Jackson made it 63-54, then Woods picked up a steal at midcourt to make it 63-56 following a layup. Wisconsin quickly called a timeout to calm things down. Following an Iverson miss, Ahrens dropped in another three to make it a 4-point game with 2:06 remaining. The game then had to be stopped because a toy basketball was thrown on the court. A referee asked Chris Holtmann to address the crowd about throwing things, which he did. The crowd responded. Wisconsin’s next possession ended in a missed jumper. Musa Jallow made a layup to make it 63-61 with 1:20 to play, and then with 36 seconds remaining CJ Jackson hit a jumper in the paint to tie the game at 63-63. As Wisconsin was bringing the ball up the court following Jackson’s jumper, Jackson drew a charge from Happ, giving the Buckeyes the ball with 29 seconds remaining. 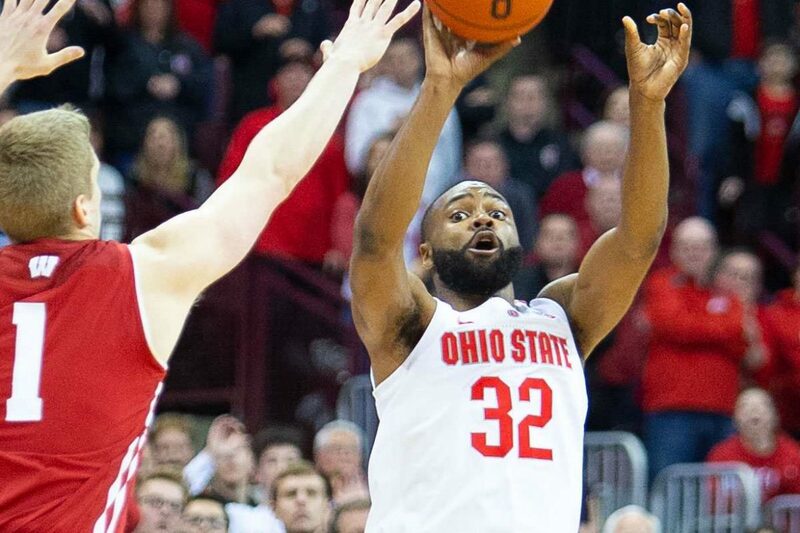 Ohio State milked the clock and Jackson’s three-point attempt fell short with 1.3 seconds remaining. Wisconsin attempted a length of the court pass with their final play, which was intercepted by Keyshawn Woods and his three-quarter court shot missed by about a foot. The Buckeyes had good looks in overtime, but couldn’t find the bottom of the basket. Jackson also missed a pair of free throws in the final minutes, while the Badgers were able to capitalize both from the field and the free throw line to secure the tougher-than-it-should-have-been win. Ohio State scored 47 points in the second half, not including overtime, after scoring just 16 in the first half. The loss is the third in a row for the Buckeyes. After the game, Holtmann said he would have an update on Kaleb Wesson’s suspension later in the week. The Buckeyes are the #8 seed in the Big Ten Tournament and they will play #9 Indiana on Thursday at 12:30 pm. 1) why wasn’t Washington in for that last possession? 2) why did we not drive the ball in that last possession? Waiting for the last shot never works . . .at least not for us. After such a valiant effort, it was a shame to lose that opportunity by dallying on the outside. It would have been such a great win to wipe out the ugly memories of the last three games. CJ said he would have driven, but the defender was far enough off, so the read at that point is to shoot it.